Villa's first floor with it's casual setting is perfect for lunch or dinner. We've also got a beautiful terrace and garden with spectacular view overlooking the Park Kadriorg. A la carte menu joins modern tastes and style from Golden era of Kadriorg. Some of the recipes, ideas and the combinations of the dishes came through the centuries. I invite you to discover more taking a journey through fine dining on villa's second floor - at Chef’s Floor. 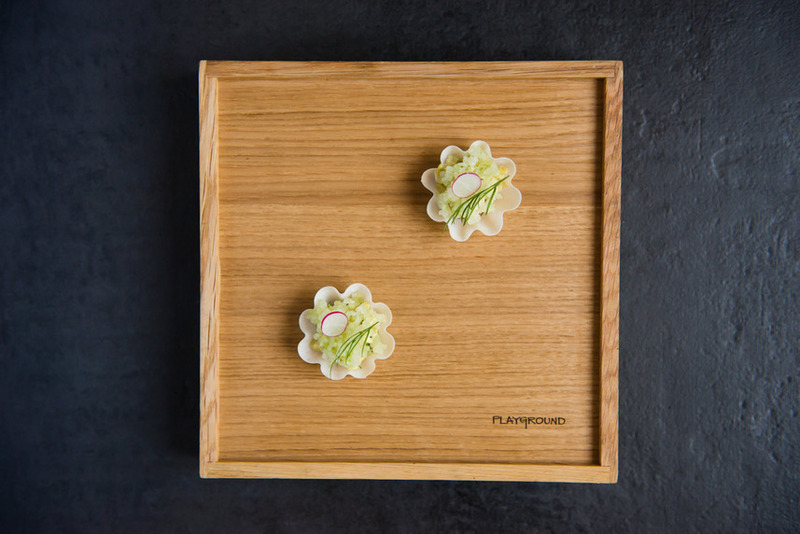 Though you can opt for a la carte here, the preponderance of tasting menus reaches to five or seven courses of pure delight plus amuse bouche, intermezzo and matched wines. We welcome you to have this journey from Wednesday till Saturday. Restaurant ”Villa Mon Repos” was opened in the beginning of 1921. Originally 1870’s it was built as summer villa by the gorgeous park Kadriorg. Owner Sadovski´s vision was to create a high-level restaurant with cabaret, dining hall and casino. Restaurant Mon Repos was very popular amongst the entire elite of Tallinn with it's intimate ambience. Guests dined in armchairs enjoying the “fine cuisine” by Chef Alexander Paalberg, who obtained his kitchen know-how from St. Petersburg “English Club” of Russian Imperial Court. Also they loved exclusive cocktails made by a bartender from London “Savoy Hotel” bar. In the evenings, besides delicious culinary there was offered a spectacular entertainment by opera singers, ballet dancers and poets. On the second floor, there was (still is) a staircase, which leads from the casino hall to the tower where the landlord safeguarded in the fear of police raids. In July 1922 police searched the villa. Gambling hell and moonshine was discovered and that led to the Closing of “Villa Mon Repos”. and friends with one of our gift cards. Please use our request form below. We will then contact you and prepare the gift card personally for you! Our quest can park a car at parking space for free!